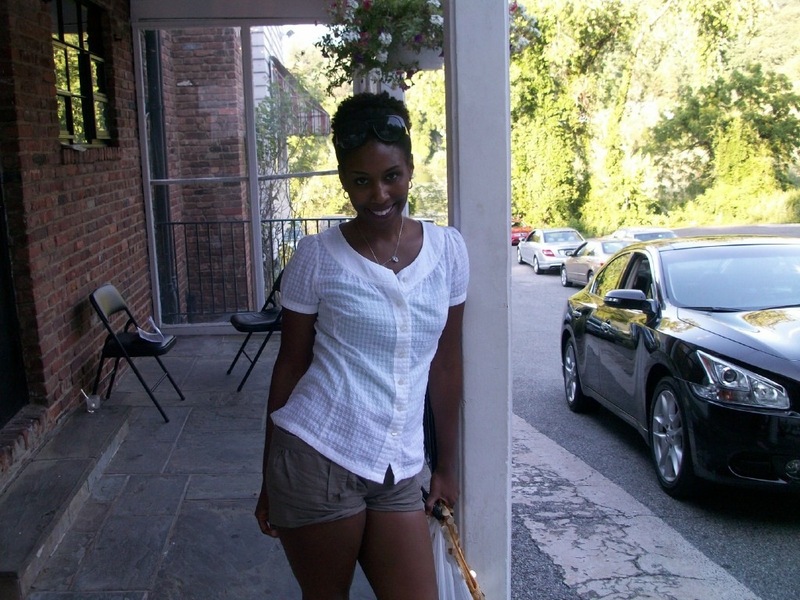 I’m a 30 something who has always been known for my straight (relaxed) hair. It was always long and thick. I had an attachment to my hair and, when I big chopped, I realized that other people had more of an attachment with my hair than I did. 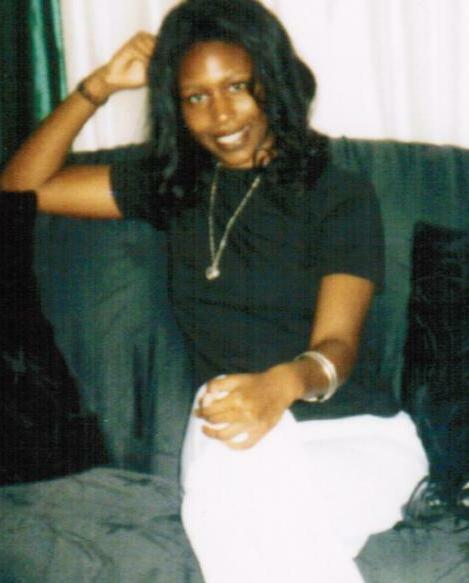 When I was younger, around 18 years old. 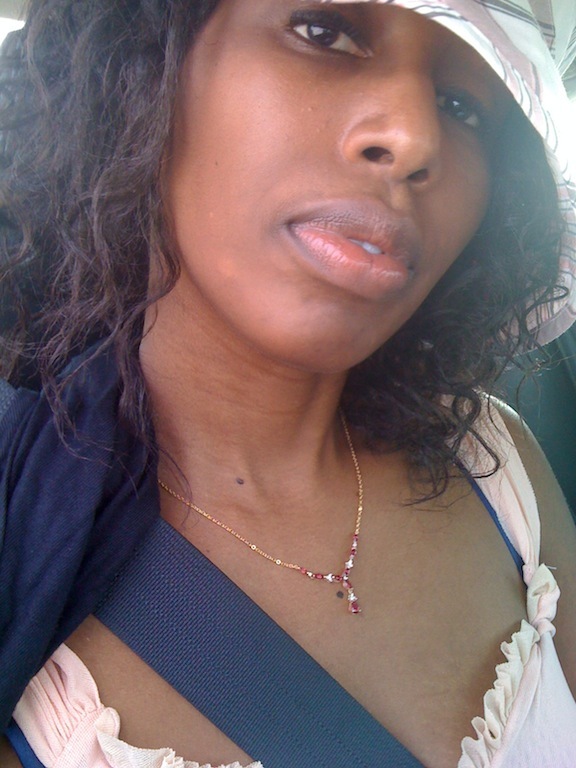 My hair got weaker and thinner after I became pregnant, then had a stillbirth (of twins). I was stressed out and have heard that hair loss is common after childbirth (I can say it’s true). So the combination of stress, the loss, plus a relaxer was no longer going to work for me. I also just wanted to break free of the old me and start anew. Around the time I noticed thinning. 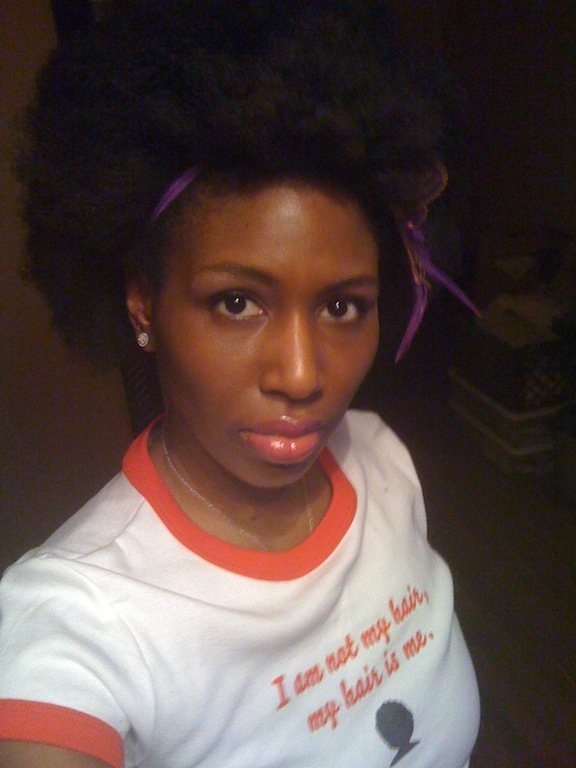 I stopped touching up my hair in April 2010. I transitioned for 4 months and did a semi-chop. 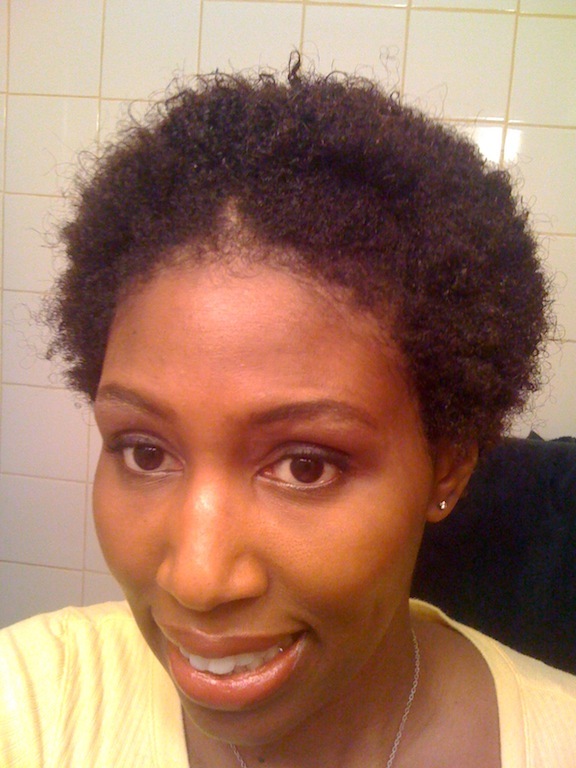 Then, I did the real big chop in Feb 2011. My grandmother, who used to do hair, cut my hair the first time. I did my real big chop myself. I saw a video of Iamsonotmyhair cutting her hair herself, and I got inspired to do the same thing. I felt that I looked like a boy, but then thought, when I add make-up, jewelry, etc., I would look better. I feel great. I feel like I’m learning about my hair every day. Fussing with my hair actually took my mind off of other things. Right now, since it’s cold, I’m taking advantage of no humidity and wearing my hair straight about once a month or once every other month. My straightening session can last me 2 weeks, if not more. If it gets a little messed up, I then start putting 4-5 cornrows or do a twist out to make my hair last longer. 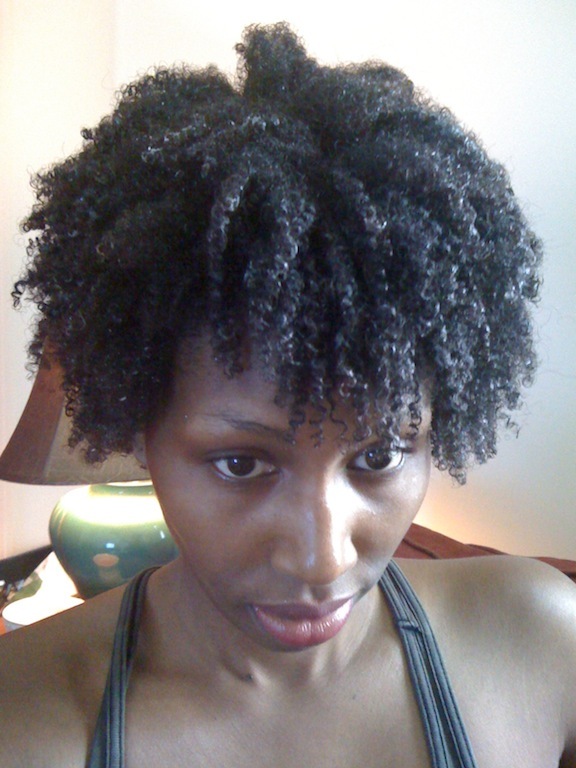 If I’m wearing it curly, I just wash and go and put it in a puff … or wash it, then do a twist out. My “go to” products while my hair is curly are Tresemme Flawless Curls conditioner, Curl Junkie Daily Fix and Curls in a Bottle, Shea Moisture Curl Enhancing Smoothie and Restorative Conditioner. While it’s straight, I still use Flawless Curls by Tresemme, Isoplus Pressing Oil and Aussie Sydney Smooth Anti-Humidity Spray to refresh and freshen my hair. I like Alterna Bamboo Oil to help give my hair shine. When I really need to wash and shampoo my hair to get rid of any buildup, I use Frederik Fekkai’s Apple Cider Clarifying Shampoo whether I’m wearing it curly or straight. When my hair is fully dry, I want my curls to be touching my shoulders. So, I guess when it’s straight, it will be waist length? I really just want healthy hair. Tracee Ellis Ross and Michelle Hurd. I like how luscious, bouncy and full Tracee’s hair is and I ‘ve always been a fan of Michelle when she was on SVU. I want that hair color too, but know it won’t match my skin tone. Oh well. YouTube: denimpixie, MahagonyCurls, AfricanExport and Taren916. And yes I’m another Nikki (middle name is Nicole). Thank you for allowing me to share my story :). 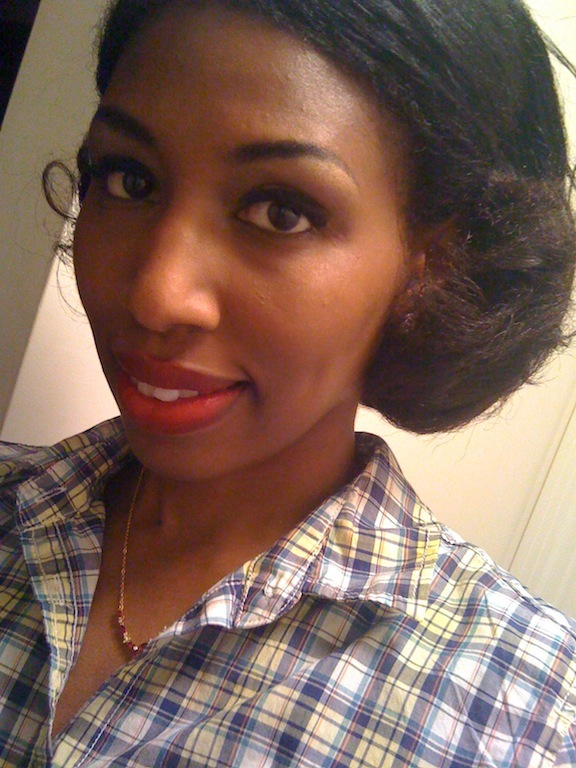 Second, I love your makeup in the pic w/ the navy blue plaid shirt! 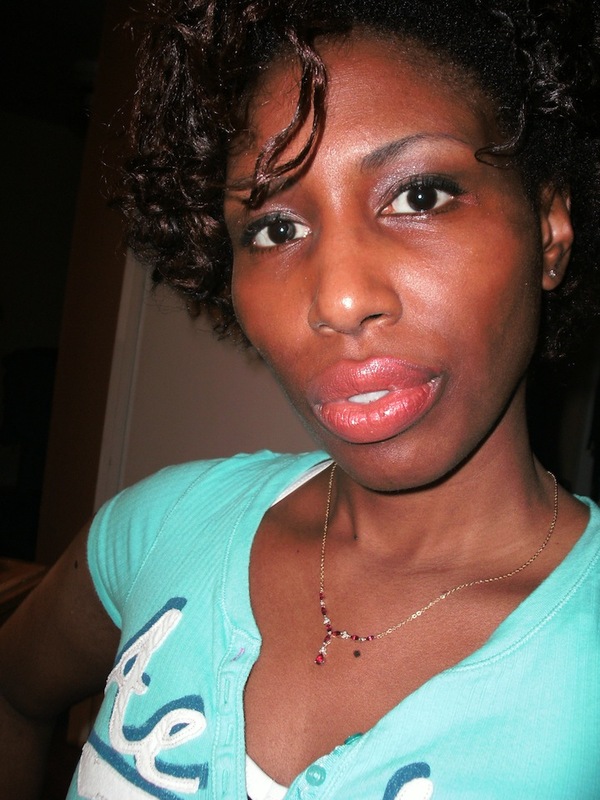 What kinda lipstick/gloss are were you wearing that day?